Jordan Mozer, Victory Lounge Chair, Leather and Cast, Recycled Magnesium-Aluminum Alloy with Hand Rubbed Patina, Made in Chicago, 2012/2016. A 2015 variation on the lounge chairs created for Victory at the Meadowlands in 2012-13. It is about 31” wide x 33.5” tall x 27”deep (79 cm x 85 cm x 68.5 cm). Provenance: collection of the artist. Signed. PROCESS + MATERIALS The chair is made in Chicago. Hand-carved sculptures describing the legs and back bracket were manipulated digitally and then translated into molds used to cast 92% recycled aluminum-magnesium alloy into the exoskeleton of the chairs. The metals were burnished and hand-rubbed with acid to create a dark patina. Leather upholstery. THE STORY Victory is a battleship-inspired restaurant at the Meadowlands sports arena. The architecture features 40’ high curved walls armored in 16 gauge hot-rolled steel and Jordan Mozer + Associates, Ltd. riff on Machine Age details. SMALL BATCH STUDIO FURNISHINGS Mozer Studios LLC handcrafts all of their small batch products. They are never mass produced. We invite our patrons to embrace the nuanced irregularities of the form, surface and finishes as evidence of handwork, defining each piece as 1 of kind... CREDITS Photos courtesy of Rago Arts. Watercolors studies for the seating and lighting were prepared by the artist. For over 30 years Jordan Mozer has been designing restaurants and hotels all over the world. To infuse these projects with dreamlike personalities, Mozer’s atelier team has created original, small batch, handcrafted fixtures, furnishings and artwork for each one, in collaboration with local artisans, using sustainable materials. For the first time recently, these small-batch, studio furnishings and artworks have become available to collectors through gallery exhibitions, auctions, the Mozer Studios gallery in Chicago, and now, 1stDibs… Jordan Mozer has been described as ”an American original”… “a poet, an artist and a maker of magic” ... “a springboard into the realm of architecture as art”…. 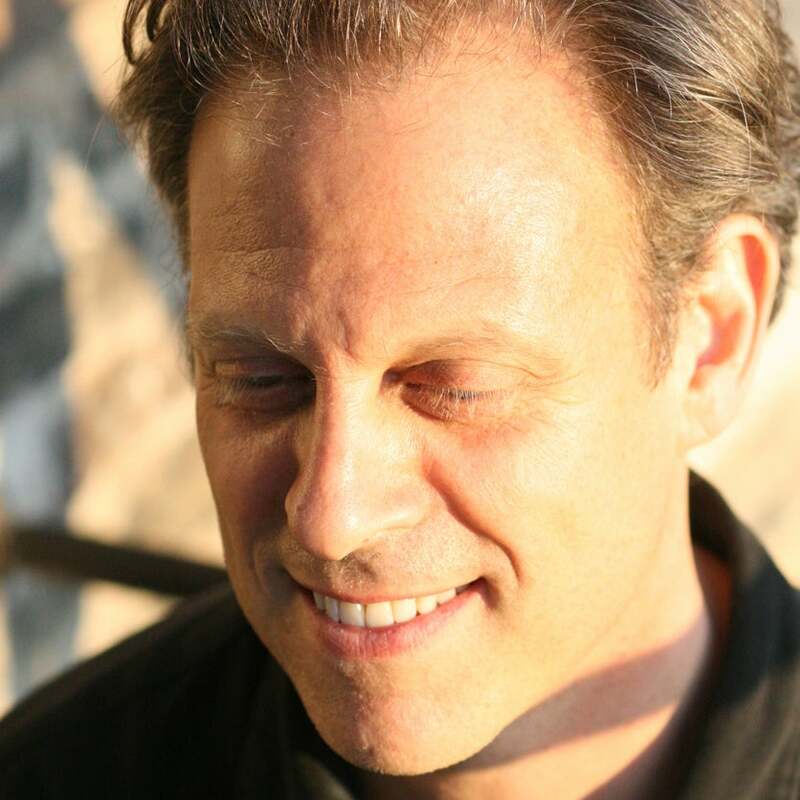 “a Renaissance man”... “visionary, idiosyncratic and utterly original”.. “the thinking man’s designer”…, and “Chicago’s other Jordan.” He is the founder, owner and lead designer of Jordan Mozer & Associates, Ltd. Prior to earning degrees in architecture and industrial design, Mozer studied painting, sculpture, English and fashion, all of which inform the design commissions completed for clients like Barney’s New York, The Rolling Stones, Asprey, Garrard, Marriott, Volkswagen, Disney & Universal Studios, MGM/ Mirage, Wynn & Lettuce Entertain You. The work has been included in countless articles, museum and gallery exhibitions and public and private collections. Jordan has sat on juries and lectured extensively throughout the US and Europe. Please contact us for more information. 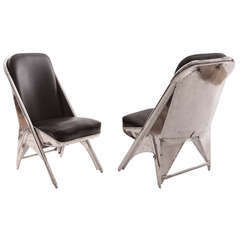 A very stylish pair of lounge chairs designed by Jordan Mozer for the Hudson Club in Chicago. Cast aluminum frames and upholstered seats and backs. Original as found condition. Natural leather and wood framed Safari style chair with leather strapping and studded detail. In very original condition with visible wear and nice patina to the leather.